Looking for things to do in Asheville, North Carolina when you visit? We've got you covered. Whether you enjoy hiking through the woods, relaxing at a brewery, or checking out art downtown, there are things to do in Asheville for everyone. Asheville, North Carolina is a city in the heart of the Blue Ridge Mountains. The city is very well known for its vibrant arts scene and historic architecture. Not to mention its really, really good beer. Filled with natural wonders, interesting people, and fascinating attractions, you will quickly fall in love with this North Carolina city. So if you are looking for things to do in Asheville, North Carolina, then read on. We have a list of 10 things to do that will keep you entertained throughout your trip. 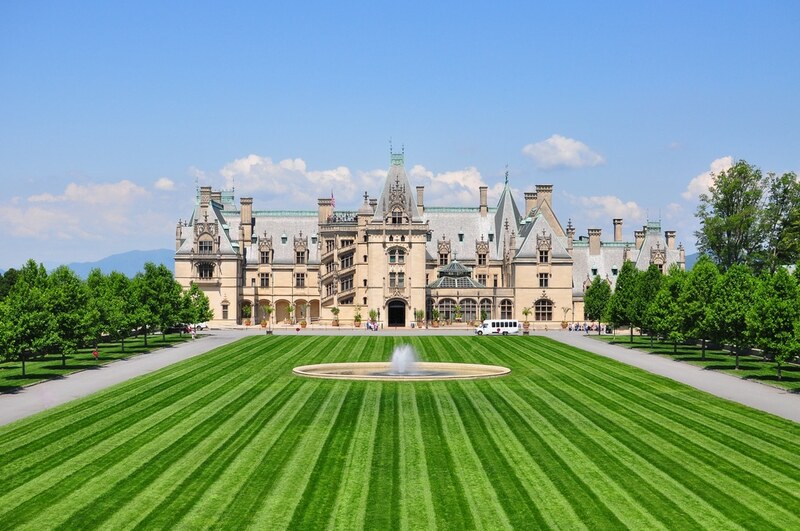 Visiting the Biltmore Estate is one of the most popular things to do in Asheville for tourists. The estate is known as "America's Largest Home," and it is easily the top indoor attraction in Western North Carolina. And it's not just for the estate's architectural beauty; it's also for its interesting history. The mansion was build for George Washington Vanderbilt II between 1889 and 1895. And it is still owned by Vanderbilt's descendants. The estates remains to be one of the most prominent examples of Gilded Age mansions in America. So spend a day touring the beautiful 8,000 acre Blue Ridge Mountain background. Taste award-winning wines. Dine, shop, and enjoy yourself along the way. 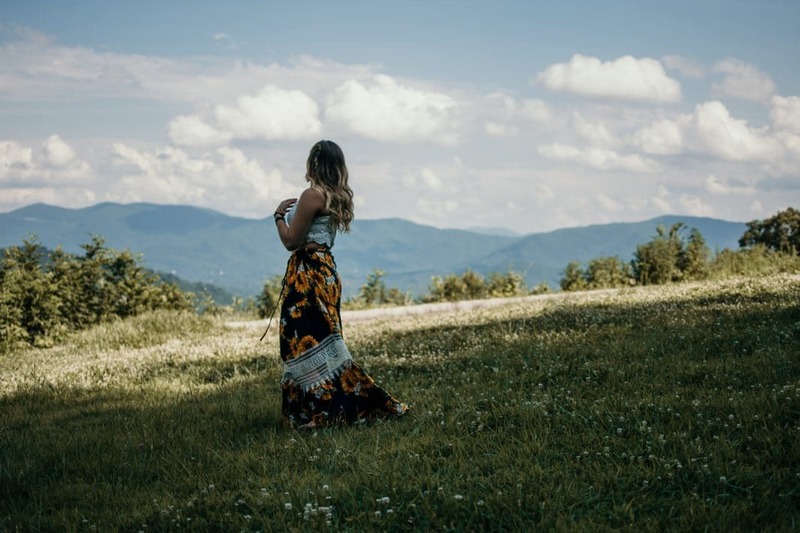 If you enjoy relaxing drives and beautiful sights, then this is one of the top things to do in Asheville you must experience. The Blue Ridge Parkway runs from Virginia all the way to Cherokee, North Carolina. 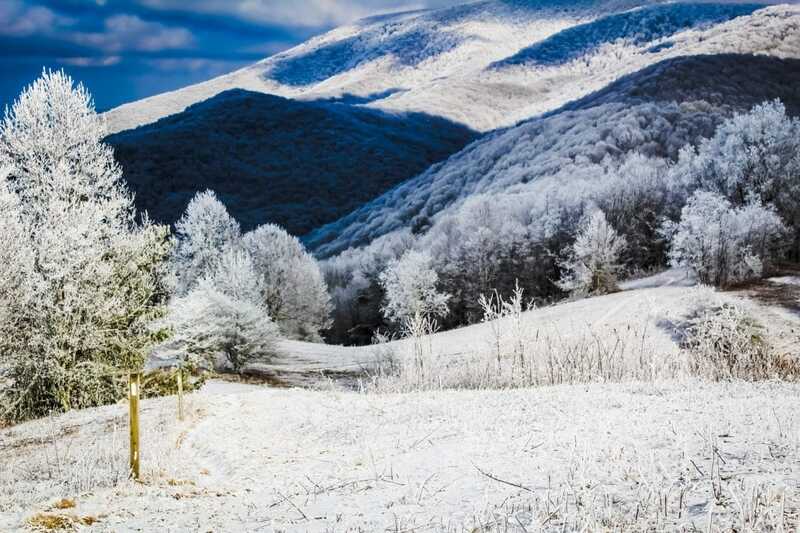 Millions of people drive the Blue Ridge Parkway every year. And it is easy to see why. Along the way you can embark on incredible hikes and explore beautiful waterfalls, lakes, and acres of forest. 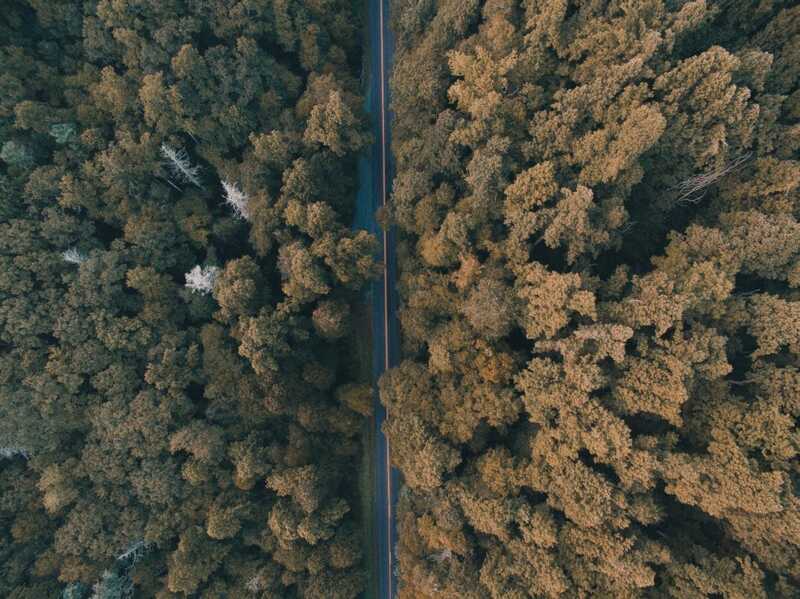 In fact, driving the Blue Ridge Parkway may be one of the best ways to experience the beauty of Asheville, North Carolina. If you identify as a foodie, then this will absolutely be one of your favorite things to do in Asheville, North Carolina. 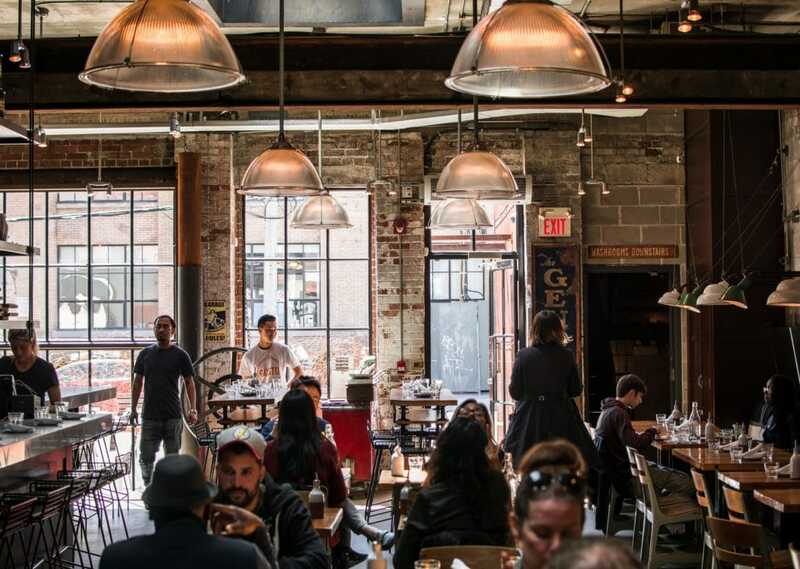 Did we mention earlier that this East Coast city is well known for its incredible restaurant scene? It's true. So do yourself a favor and spend a day exploring all of the different cafes, bars, and restaurants that are scattered throughout Asheville. And one of the best ways to do that is to take a Culinary Tour through the city! Okay, we know that we already have said how great the beer is in Asheville. But seriously - if you are a beer enthusiast, then taking a brewery tour through the city is one of the best things to do in Asheville, NC. And you can either opt to join in on a guided brewery tour, or venture out on your own! Asheville is proud to have more breweries per capita than any other city in the United States. 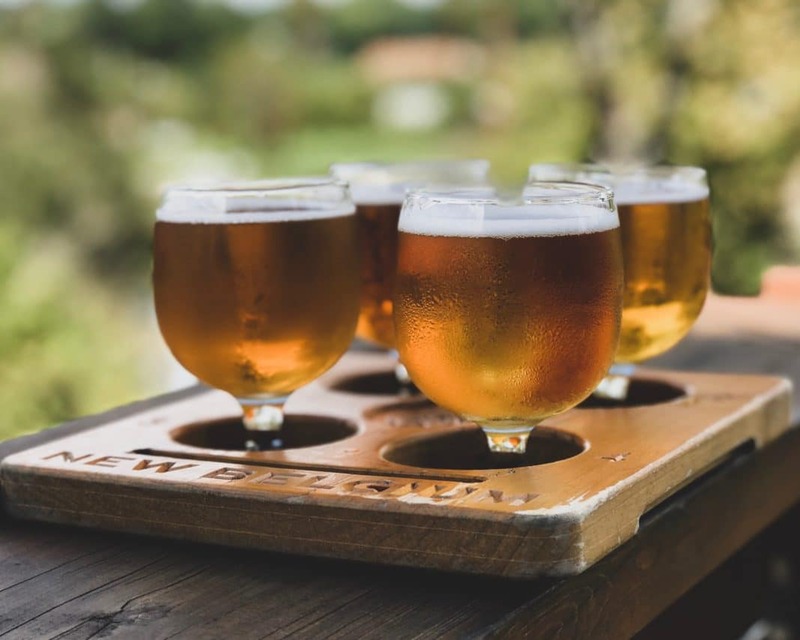 There are roughly 100 local beers that you can enjoy in Asheville, North Carolina. And they can be served on draft, in bottles, in cans – whatever suits your fancy! But the best part of taking a brewery tour through Asheville is that every brewery is different. Each one is unique with their own atmosphere and personality. And the same can be said for its beer. So do yourself a favor and make taking a brewery tour one of the things to do in Asheville while you are there. Let's be real. Spending a day downtown is usually one of the best parts of visiting any new city. And that is especially true when it comes to Asheville, North Carolina. This city's downtown area is incredible. It is filled with great shops and boutiques, restaurants and cafes, galleries and museums - the list goes on! Taking a stroll through this vibrant arts hub in the heart of the city is easily one of the top things to do in Asheville, NC. The downtown area definitely feels like a city, but still retains its rustic, Blue Ridge vibe. And that woodsy-city balance is really easy to fall into. So treat yourself to a evening downtown and explore the city's great night life. And make sure to enjoy some local, live music while you're there. Do you enjoy the performing arts? Then treat yourself to a show. Honestly, there is something for everyone to enjoy doing in Downtown Asheville. Are you a history buff? Then you are definitely going to want to hit this next stop on our list of things to do in Asheville, NC! 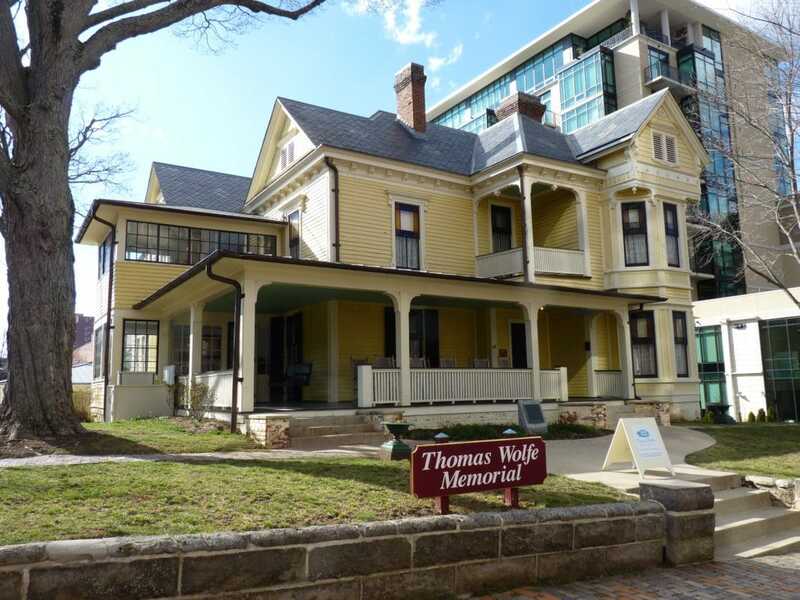 The Thomas Wolfe Memorial was once the home to 20th-century American author, Thomas Wolfe. Located in the Downtown Asheville Historic District, this Victorian period home is just one of the many architectural wonders this city has to offer. In 1998, the historic house was nearly destroyed in a fire. But after an extensive restoration of both the house and its surviving artifacts, the building was once again opened to visitors. Fun fact: the Thomas Wolfe Memorial is a designated National Historic Landmark. And if you are familiar with the work of Thomas Wolfe, then you will probably recognize this famous quote he once said about his childhood home: "Look Homeward, Angel." Whether you know the author's work or not, we highly recommend visiting his home. 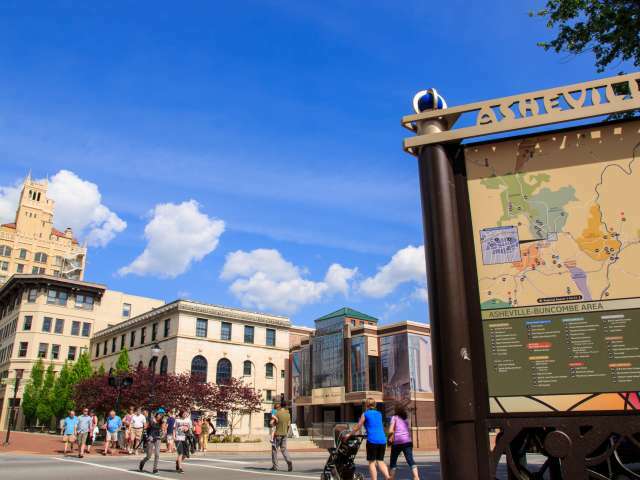 It is easily one of the most popular things to do in Asheville, North Carolina for tourists. Another great place to visit while you are visiting Asheville is the North Carolina Arboretum. 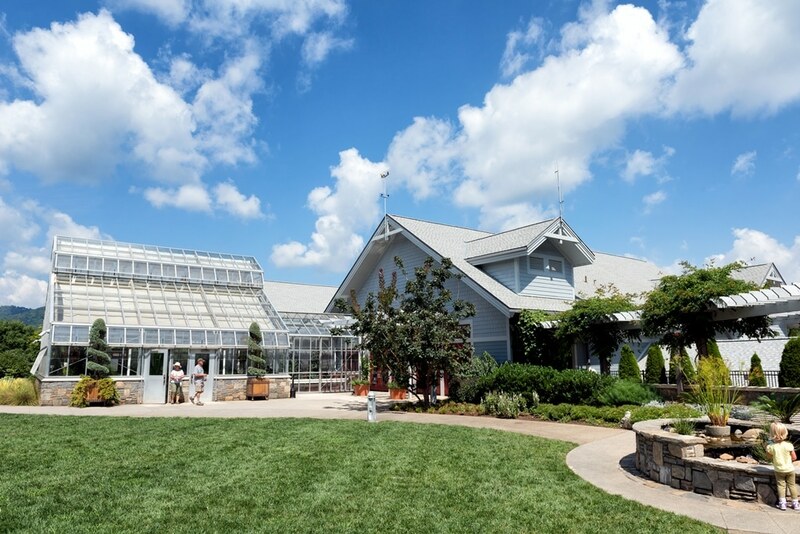 Sitting just southwest of the city within the Pisgah National Forest, the North Carolina Arboretum is a 434-acre public garden that offers a range of activities for all travelers. Since 1986 the arboretum has been home to fantastic hiking, running, and biking trails. So if you are an outdoor enthusiast looking to get some exercise in on your trip, this is a great place to go. But if you want something a little more relaxing, you can always opt for a nice stroll along the beautiful gardens throughout the property. And you can either opt for a guided tour or lead your own way through the arboretum. Whatever you prefer. But one of the best things about visiting this attraction is looking all around you and seeing the Blue Ridge Mountains encompassing the gorgeous property of the arboretum. So if you are looking for a slow, easy, enjoyable day, then the North Carolina Arboretum is absolutely one of the best things to do in Asheville, NC. Do you like touring new cities? And do you like doing so from the comfort of a hop-on/hop-off trolley car? 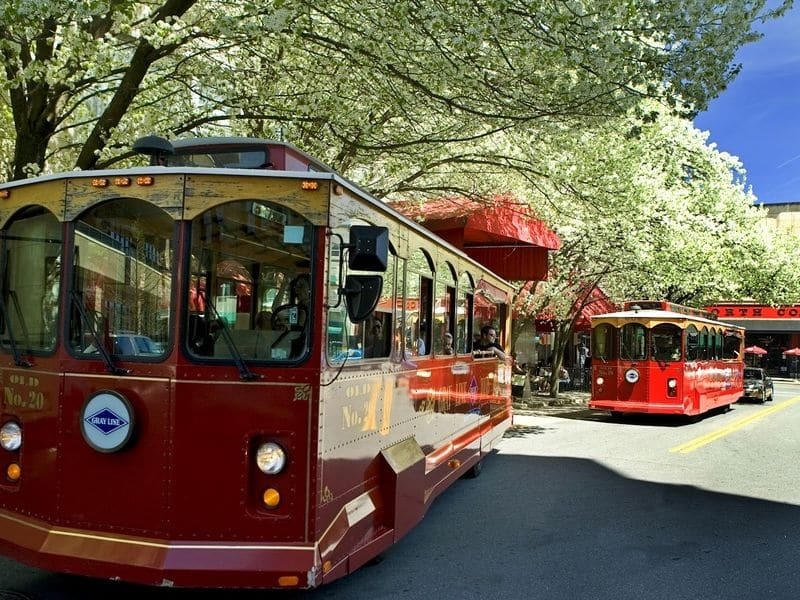 Then buying a ticket for the Gray Line Trolley is one of the best things to do in Asheville while you are there! The hard-to-miss red trolley departs every 30 minutes and makes various stops throughout the city. And the tour guide provides a narrated journey along the way. So you will be able to keep up with all the history, heritage, and culture of the sights that you pass and stop off at. And when you hop off of the Gray Line Trolley (which you can do at any time during the tour) you can start exploring by foot. Now that you have more context and information on the area, you can do some solo exploring. So check out the shops, boutiques, museums, and galleries scattered throughout the town. And when you're done, you can hop back on the trolley - or the next one that rolls through - and make your way to the next stop. Taking a ride of the Gray Line Trolley is one of the best ways to see this fun, artsy city. 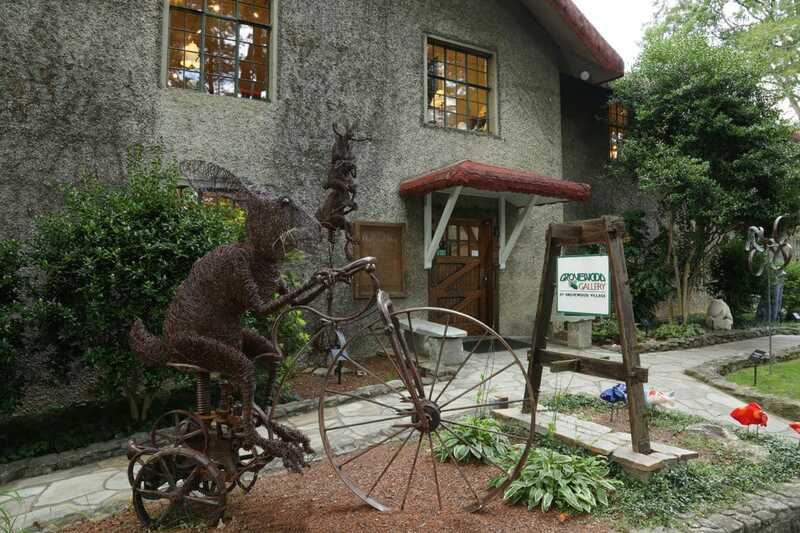 The Grovewood Gallery -- more commonly known today as Grovewood Village -- is another one of the most popular things to do in Asheville, North Carolina for travelers visiting the area. This historic site was once home to the "weaving and woodworking operations of Biltmore Industries, a noteworthy enterprise in the history of American Craft and textiles." But today the property houses contemporary crafts from more than 500 artists around the united states. 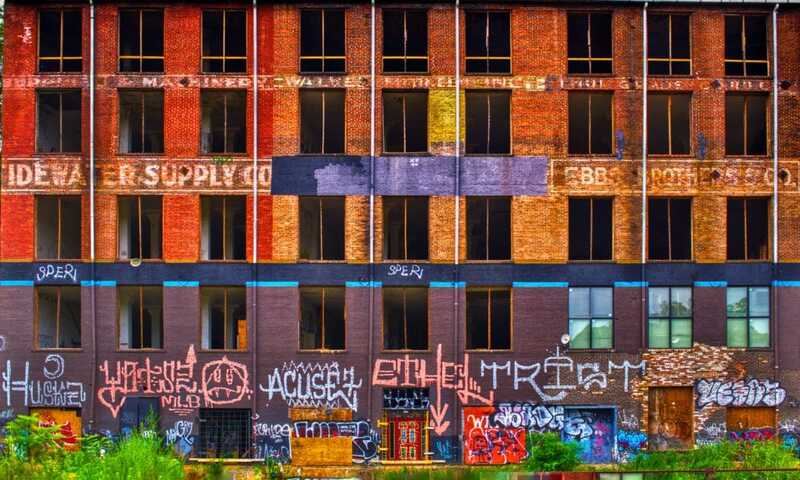 This attraction combines old, rustic charm with modern day art. Fun fact: Grovewood Gallery is known as one of the top retailers of fine American crafts in the entire country! But perusing all of the unique and beautiful works of art is just one of the perks about visiting this attraction. You can also spend your time enjoying the beautiful sculpture gardens on the property. And you can pop into Grovewood Studios, which is a working artist's studio. There is also the Homespun Museum, which exhibits the history of weaving and spinning. And finally, stop into the Este-Winn Antique Car Museum, which houses a rare collection of old automobiles from a bygone era. Asheville, North Carolina is a hip and artful city. So it should come as no surprise that one of the best things to do in Asheville is explore the city's arts district. The Downtown Asheville Art District (DAAD) is the home of the best fine art and studio crafts in the city. There you will find more than 20 galleries and museums to window shop in or purchase artwork from. The Downtown Asheville Art District is just one of the reasons this city has the nickname "The Paris of the South." You will find work from all kinds of mediums downtown. There are artists who specialize in glass blowing, photography, painting, metal work, textiles, jewelry - the list goes on. And most of the work is by local artists. So if you enjoy bringing home a souvenir from your trips, then we definitely recommend paying a visit downtown. This is just a small taste of all the fun things to do in Asheville, North Carolina. While these 10 activities are a great way to spend your time in Asheville, this list is just a small taste of all this city has to offer. So what are you waiting for? Pack your bags and journey to this incredible North Carolina city ASAP. We promise you will have the time of your life! Have you been to Asheville? Do you live there? And do you have any other spots you recommend people visit? Leave us a comment and let us know! Maura is a writer and comedian from Richmond, Va. While Maura will always consider Virginia home, she's happiest when she's hopping around the globe. Her favorite way to learn about a new culture is through its people and food (seriously, she could eat all day.) Find her on Instagram with travel suggestions on where she should eat next!